Pennsylvania Bluestone is a layered sandstone found only in the northeastern tier of Pennsylvania, parts of northern New Jersey and the southern tier of New York. The quarried product has many uses, from cut dimensional stone used in patios, walkways and stair treads to architectural stone used in buildings. 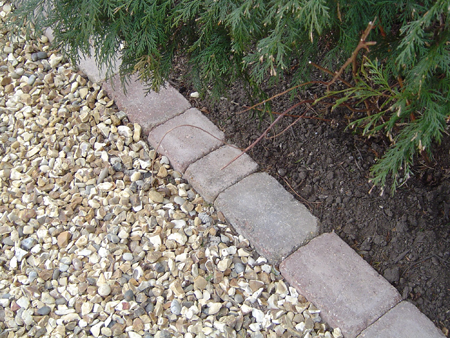 It is also used for wallstone, decorative boulders, natural steps and other landscape features. The name Pennsylvania Bluestone is due to its predominantly blue color and because the majority of stone is quarried in Pennsylvania; it can, however, appear in many other hues besides blue. It was formed over 360,000,000 years ago during the Devonian Period as large inland seas deposited sand in the Catskill delta region. It is composed of feldspar, sand, and mica (among other minerals) and is clear of most organic residues. 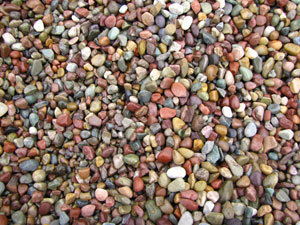 Gravel driveways can refer to crushed gravel driveways or crushed stone driveways, a higher end installation. Crushed gravel isn't the most elegant driveway material out there, but it is the cheapest. Another nice trait of gravel driveways is that they can always be paved over later with a material of your choice. Other than their low installation cost, Bluesstone Gravel driveways are also the easiest to maintain. Naturally, you don't have to worry about driveway cracks. Gravel driveways are designed to shed water, but you'll need to ensure that you have proper yard drainage before installation. If you live in the northern United States and constantly need a functional driveway, keep in mind snow removal from a gravel driveway is extremely difficult. Other types of aggregate driveways that you may be interested in are crushed granite driveways or crushed limestone driveways. We have plenty of gravel for sale, as well as driveway fill, to meet every requirement you may have for your gravel driveway construction projects. Whether you're preference is for a crushed rock driveway or driveway pavers, we are the gravel supplier and paver supplier you're looking for. 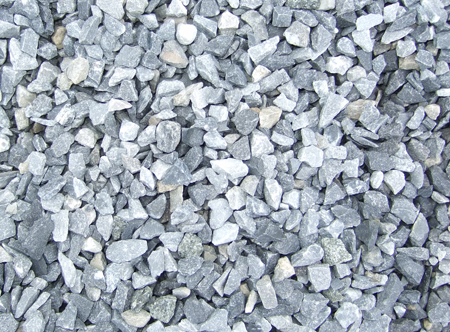 We have the largest selection of gravel for driveways and the best gravel prices. 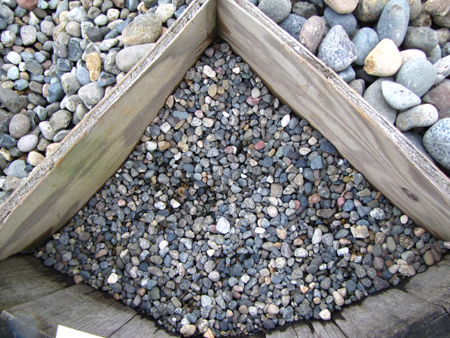 For more information on types of gravel stones and crushed rock, gravel delivery and gravel driveway cost estimates, call us today. Bluestone is still one of the most popular choices of landscape material for private homes and commercial applications alike. Bluestone's color and variety of forms, from crushed bluestone to flagstone pavers make it one of the most versatle of landscaping materials. Bluestone is a superb decorative gravel and decorative stone - you can use it for your crushed rock patio or a crushed rock path; use the cut dimensional stone in patios and walkways and as a decorative stone or landscape rocks in your garden. But Bluestone is not the only type of landscaping stones that we carry, there are many other types of landscape rocks and landscape gravel available for use in your gravel path or gravel patio, including washed gravel, crushed limestone, crushed lava rock, pea gravel, as well as, pebbles, bricks and stones, all types of paving stones and ready mix concrete for when a concrete patio is your preferred choice. Call us for more information on all our landscape supplies, gravel sizes and gravel pricing and If you would like landscaping rocks delivered to your job site, just call us to schedule your deliveries today. Where does Bluestone come from? The best known American variety of bluestone is a feldspathic sandstone, which is produced in hundreds of small quarries in adjacent areas of Pennsylvania and New York. 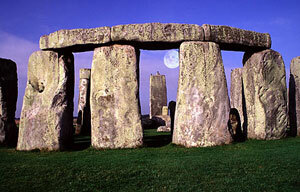 Bluestone from Pennsylvania and New York is commercially known as bluestone or Pennsylvania Bluestone. These are a group of sandstones defined as feldspathic greywacke. The sand-sized grains from which bluestone is constituted were deposited in the "Catskill Delta" during the Middle to Upper Devonian Period of the Paleozoic Era, approximately 370 to 345 million years ago. If the initial deposit was made under slow moving water the ripples of the water action on the sand or mud will be revealed. This deposition process may be seen today at any ocean beach in shallow water or in a stream bed where conditions allow it to be observed. The term "bluestone" is derived from a deep-blue-colored sandstone first found in Ulster County, New York. The Catskill Delta was created from run off from the Acadian Mountains ("Ancestral Appalachians") which covered the area where New York City now exists. This Delta ran in a narrow band from southwest to northeast and today provides the base material for the high-quality bluestone which is quarried from the Catskill Mountains (and Northeast Pennsylvania). Are you planning on buying bluestone? Are you thinking, where can I buy bluestone online? Would you like to have your bluestone delivered? If you're planning to purchase bluestone, either on site or online, you've come to the right place. We have all types of quality bluestone, including garden bluestone and landscaping bluestone. You can purchase bluestone from us in a variety of quantities, including bulk bluestone, a yard of bluestone, a cubic yard of bluestone and bluestone by the yard. Buying bluestone is convenient and cost effective when you buy from us. We try to keep the cost of bluestone down by offering wholesale bluestone and bulk bluestone prices, so you get the cheapest bluestone prices around. So, to find out the cost of bluestone, call us for the best bluestoneprice. In addition, we offer the convenience of bluestone Delivery. If you would like top soil delivered to your job site, just call us to schedule your topsoil deliveries today. How much Bluestone do I need?